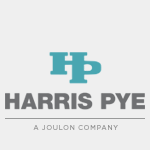 Though Harris Pye, Joulon offers a team of highly qualified and experienced personnel providing a full and comprehensive world-wide inspection and reporting service for industrial and marine boiler plants, turbines, steam chests and valves using state-of-the-art inspection equipment and procedures. Apart from normal visual inspection, internal tube inspections are carried out using fibre optic equipment, which is fitted with a video copy processor capable of recording and printing any frame displayed on the screen. By adopting a scientific approach to troubleshooting we are able to resolve issues regardless of the exclusivity and complexity, including efficiency improvement and redesign whilst still maintaining a remarkably high success rate. Our boiler performance computer modelling facility enables us to setup a simulated model of a boiler and assess an infinite number of operating variables. The effect of major changes in the heating surface or boiler geometry can be assessed in a matter of minutes, making this equipment an extremely powerful problem solving tool. We are specialist boiler designers, constructors and problem solvers, having built and designed boilers for some of the largest boiler companies in the world including B&W, N.E.I and ICAL. Many of the problems inherent to a boiler plant are often caused by errors of judgement and short cuts taken in the original design of the boiler. By correctly specifying the equipment from the outset we are able to prevent such problems from occurring. In addition, our independent assessment of the plant can identify design flaws which can be rectified prior to the boiler coming on line. Harris Pye are the only steam engineers globally who can independently assess the internal water circulation of any sub-critical boiler. Our computer based circulation facility has been extensively field tested with both conventional primary element flow measurement equipment and by radioactive tracer techniques carried out by the Australian Atomic Energy Commission. These boilers, which are intended primarily for use on marine installations, can easily be adapted and modified for use in any number of applications which have a requirement for power and / or process steam. Each boiler package will be customdesigned to meet the specific requirements of individual customers. We can undertake and complete on an inhouse basis, every aspect of the design of these modules. These include but are not limited to – thermal design and associated activities, skid and module design and layout including stress analysis, as well as naval architecture requirements. We take responsibility for all aspects of design engineering, manufacture, installation and commissioning, including aftercare of the boilers and all associated module plant and equipment. All boilers are designed and manufactured in accordance with ASME 1 / ABS design codes, as well as being ISO 9001 certified. The boilers and associated equipment are available in either fully assembled or flat pack form from the Harris Pye manufacturing facilities in the UK, China, UAE, Singapore or Brazil to service the emerging FPSO markets in these regions. We offer comprehensive design and manufacturing facilities for both plain tube and extended surface exhaust gas economizer assemblies. Extended surface configurations include single and double ‘H’ gilled, helical wound and pin type. Pairs of parallel shaped steel fins are resistance welded to the single pressure tube surface under carefully controlled conditions. The purpose built welding machine ensures precision indexing along the entire length of the tube and exact parallel attachment. Steel ‘H’ fin was introduced in the 1950s due to the requirement for reliability in dirty and potentially corrosive environments, specifically associated with waste heat units fitted to the uptakes of large diesel engines. With deteriorating fuel quality prevalent, this is particularly crucial to the marine industry. The ‘H’ design reduces draft loss and allows straight-through flow of gas over the unit. Both these factors facilitate a self-cleaning effect, producing a considerable reduction in fouling and the potential for damaging and sometimes catastrophic soot fires. The compact design of these units can realise a 50% saving in space compared to plain tube designs, another important consideration in the ever increasing necessity for space and weight savings. At Harris Pye Engineering we place the most stringent quality requirements on our products and services. Our highly skilled and experienced engineers ensure that all stages of programming and works undertaken are subject to, and comply with, all of the latest class and quality assurance regulations and are guaranteed accordingly. Together with our promise of 24-hour worldwide service our customers are confident that they can completely rely on our experts in all situations. Harris Pye offers comprehensive design and manufacturing facilities for both plain tube and extended surface exhaust gas economizer assemblies. Extended surface configurations include single and double ‘H’ gilled, helical wound and pin type. The ‘HP’ Economizer range is specifically designed to recover the waste heat contained within boiler exhaust gases and to transfer as much energy as possible to the incoming boiler feed water stream by pre-heating the water prior to its entry into the boiler. The design and construction of the HP Economizer high efficiency heat exchanger lends itself to installation into most boiler exhaust gas outlet ducts. HP high efficiency tube banks are purpose designed units constructed from selected finned steel tubing manufactured on Harris Pye’s own specialized in-house “Spiral” and “H” type tube finning machines. HP Economizers are designed and constructed under strict ISO Quality Assurance to meet the highest International standards. Construction can be compromised from standard carbon steel or high corrosion resistant materials allowing for the highest possible heat recovery with the longest life expectancy, this enables the continued minimization of your energy costs. Each boiler package will be custom designed to meet the specific requirements of individual customers. We can undertake and complete on an in-house basis, every aspect of the design of these modules. These include but are not limited to – thermal design and associated activities, skid and module design and layout including stress analysis, as well as naval architecture requirements.